Application Fee : Rs.400/- for Officer and Rs.200/- for Clerk (Rs.50/- for SC/ST/PWD) to be deposited throughout CBS at any of the Branches of United Bank of India by means of a Payment challan OR (ii) all the way through NEFT at any Bank branch. How to Apply: Application Form complete in all respects must be sent by Registered / Speed post only in a closed envelope super scribed as ‘ APPLICATION FOR THE VACANCY OF MALE SPORTS PERSON IN UNITED BANK OF INDIA’ to The Assistant General Manager (H.R.M),United Bank Of India, Head Office, H.R.M. Department, United Tower,12th Floor,11 Hemanta Basu Sarani, Kolkata-700001 to reach prior to 29/09/2012. 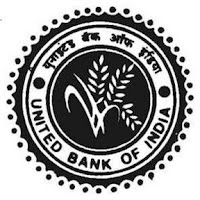 Please check http://www.unitedbankofindia.com/English/Recruitment.aspx for the entire information and application format.